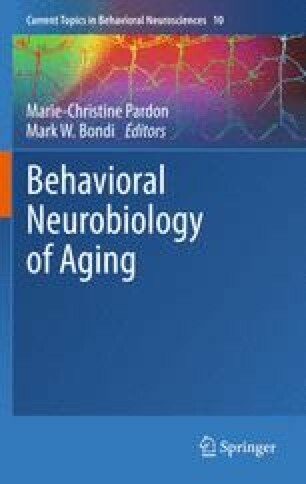 The literature on the neuroanatomical changes that occur during normal, non-demented aging is reviewed here with an emphasis on the improved accuracy of studies that use stereological techniques. Loss of neural tissue involved in cognition occurs during aging of humans as well as the other mammals that have been examined. There is considerable regional specificity within the cerebral cortex and the hippocampus in both the degree and cellular basis for loss. The anatomy of the prefrontal cortex is especially vulnerable to the effects of aging while the major subfields of the hippocampus are not. A loss of neurons, dendrites and synapses has been documented, as well as changes in neurotransmitter systems, in some regions of the cortex and hippocampus but not others. Species differences are also apparent in the cortical white matter and the corpus callosum where there are indications of loss of myelin in humans, but most evidence favors preservation in rats. The examination of whether the course of neuroanatomical aging is altered by hormone replacement in females is just beginning. When hormone replacement is started close to the time of cycle cessation, there are indications in humans and rats that replacement can preserve neural tissue but there is some variability due to the type of hormones and regimen of administration. Our work was supported by grants from the National Institute of Aging, AG18046 and AG022499. We thank Wendy Koss and Renee Sadowski for comments on the manuscript.